Now offered fully and fabulously furnished! 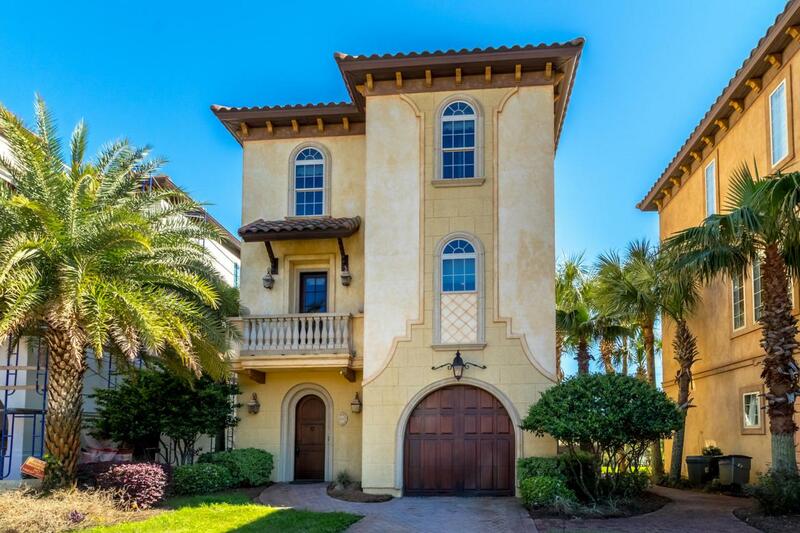 Dramatic water views and refined interior appointments combine to conceive a notable lakefront retreat in one of Destin's most distinctive gated communities Saint Tropez. Professionally designed by Bella Beach Home, 22 Rue St Tropez draws inspiration from the romance of French Neoclassical style and the grandeur of antebellum New Orleans. This impeccable home has never been rented, and it shows. Rental projections exceed $74K annually. Interior appointments like finished concrete flooring, luxurious lighting design, natural stone surfaces and custom wall finishes denote timeless elegance, while outdoor spaces engage the natural surroundings.